Equinix is the one of the largest growing Data Centre companies, growing connectivity between clients worldwide. That’s why we’re always looking for creative and visionary people who can help us achieve our goal – global interconnection. With over 190 datacenters in over 24 countries spanning across 5 continents, we are home of the Cloud, supporting over 1000 Cloud and IT services companies that are directly engaged in technological innovation and development. We are passionate about further evolving the specific areas of software development, software and network architecture, network operations, and complex cloud and application solutions. The Customer Project Manager (CPM) position is pivotal in the delivery of services to Equinix clients. The CPM is responsible for completing customer implementation projects to the high standards expected from both Equinix and our customers. The CPM drives collaboration with customers and internal cross functional teams in order to run infrastructure implementations to meet requirements timely and efficiently. The CPM serves as the primary point of contact throughout the project and acts as the customer advocate, responsible for the overall satisfaction at the completion of every project. Leading new and existing customer installations, working cross-functionally to deliver defined services in the agreed upon timeframe and according to client expectations. Developing deployment schedules and plans and implementing according to those plans through to completion. Communicating timely, clear updates, risk assessment and issue resolutions to clients. Actively identify project risks and develop risk mitigation plans to keep projects on schedule. Coordinating internal partner teams, sometimes with multi-regional members, and holding them accountable for task completion. Resolving standard and non-standard customer requests and issues related to their deployments. Customer satisfaction on completion measured via surveys and other methodology. Conducting regularly scheduled customer meetings and internal partner meetings. Demonstration of a moderate level of technical knowledge of IBXs and customer requirements. 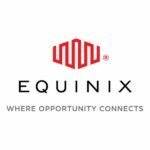 Developing and maintaining knowledge on Equinix products and services. Very organized, with attention to detail and a dedication to resolving issues. Collaborative personality and able to build strong personal relationships. Able to plan, lead and complete customer deployments independently. Reasonable technical knowledge and an understanding of the technical service industry. Calm and effective under pressure. Able to remain professional in high stress situations. Excellent written and verbal English communication skills are critical. Degree level qualification, preferably in a technical subject, or equivalent experience. Proven experience in a high pressure, customer facing role. Experience of successfully completing customer implementations with high customer satisfaction. Experience in a technical industry; preferably telecommunications or data centers. This is an opportunity for you to join an organisation that is growing quickly and still runs with a pioneer spirit. Not forgetting of course, a competitive salary and exceptional secondary benefits for you to enjoy.